Development Long term risk management and fuel hedging plan Hedged in 12-18 month cycles with a 5-10 year view. Execution Fuel procurement and hedges (including RFP process). Targets were set based on budget forecast and market levels; transparency achieved through procurement stage. Education and advice on fuel markets and hedging concepts. Assessment Tracking of real time view of results, data management, ? nancial reporting. 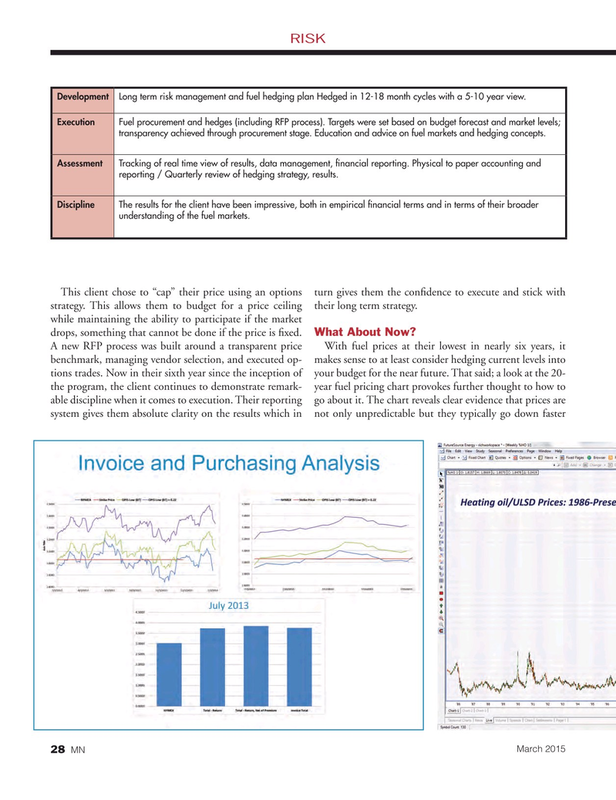 Physical to paper accounting and reporting / Quarterly review of hedging strategy, results. Discipline The results for the client have been impressive, both in empirical ? nancial terms and in terms of their broader understanding of the fuel markets.